These portable fun food chopsticks will make your family picnic a super fun. A LED illuminated bright colors will easily catch surrounding minds and make your day a fun. Be the life of the party and make others feel jealous of getting all the attention at your desk. 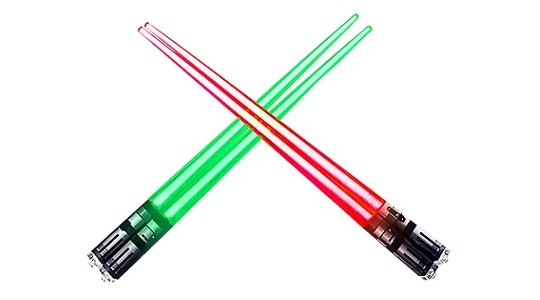 Led ChopSabers Light-up lightsaber requires new batteries and stopper which are replaceable with 3 x LR41 batteries. Just unscrew the cap and install them easily. Made only for ages 12 and above, these uniquely designed utensils will surely make your day special. Just be sure not to immerse the whole stick in water as they are very inexpensive and so not fully waterproof.